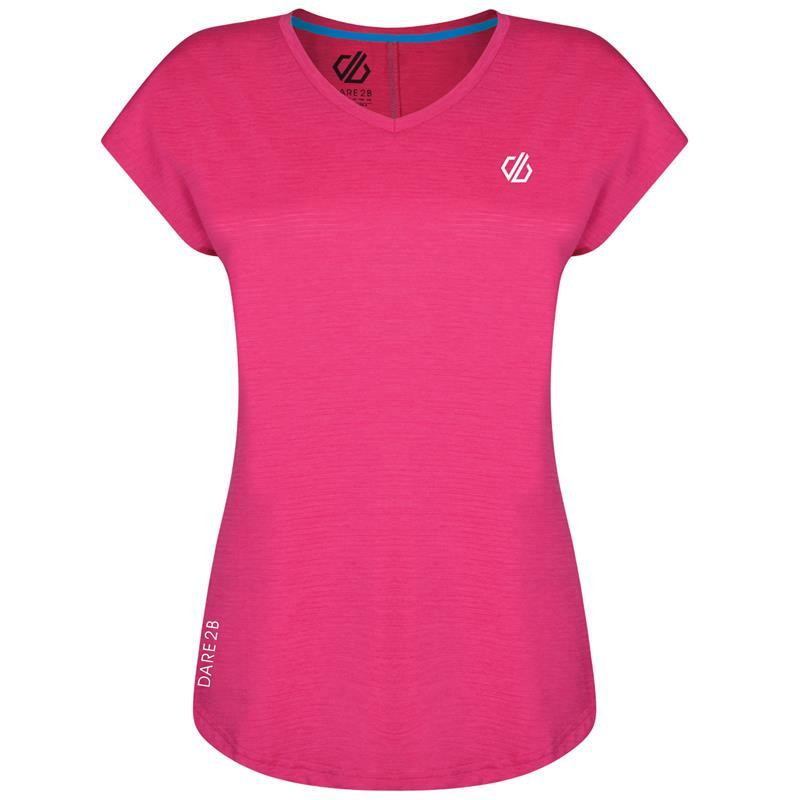 Dare2b Ladies Vigilant Active T-Shirt - Cyber Pink. The Vigilant t-shirt from Dare2b, is a lightweight tech-tee that moves sweat away from your skin and keeps you feeling fresh. Q-Wic lightweight polyester/ elastane fabric.